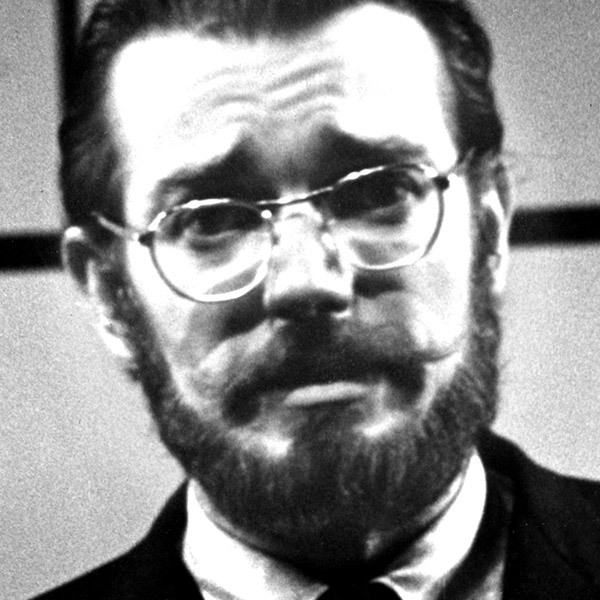 Infamously dedicated to establishing improv as a unique art form in its own right, Del Close was an influential teacher, an impassioned, complicated guru and a true comedy maestro who pushed all artistic boundaries and trained many of the most celebrated performers of the late 20th century. Close was born in Manhattan, Kansas, in 1934, the second cousin of Dwight D. Eisenhower. After already spending time at The Compass in St. Louis and his own stand-up act, Close joined The Second City cast in 1961, working with the company as an actor, writer and director. He was in and out of the company for years, as well as directing the 12th revue, 20,000 Frozen Grenadiers or There’s Been a Terrible Accident at the Factory. Many up-and-coming Second City performers studied with Close, and The Upright Citizens Brigade first met and formed their ensembles in his classes. Close passed away in 1999 at the age of 64 after holding a “living wake” in the hospital the night before he died. According to Charna Halpern, his last words were, “I’m tired of being the funniest person in the room.” He famously bequeathed his skull to the Goodman Theatre, to play “Yorick,” the cranium in Hamlet’s graveyard scene.